Etsy is a wonderful marketplace for buyers and sellers of artistic goods and materials, like our signs and plaques, and now DIY ornaments. If you love handmade and handcrafted as much as we do, you have to check it out. 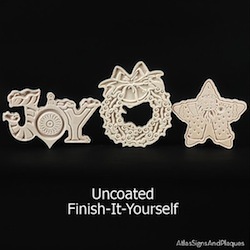 Atlas is now making holiday ornaments available to DIY enthusiasts and crafters. 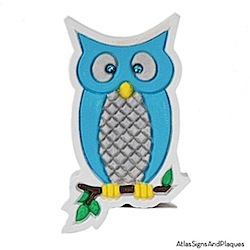 They are made of the same HDU sign foam that is the base material of every sign and plaque that Atlas creates. We make some of these most every year before the holiday season. Do-it-Yourself Ornaments are limited in quantity and are only available to our Etsy friends. 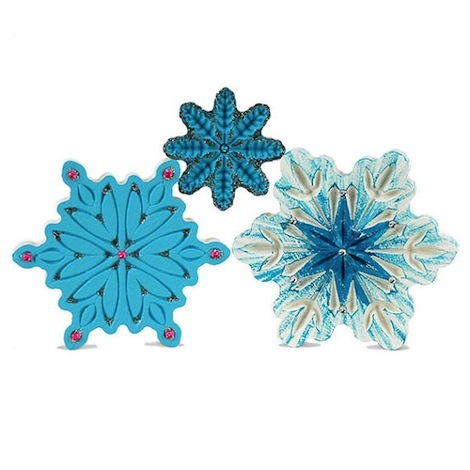 Ornaments are usually 3-6 inches, detailed, and in some interesting shapes. Do-it-Yourself ornaments are easy to complete. Use latex paints (like we all did in the finished examples), or oil paints, dyes, glitter, foils, or pretty much anywhere your mind goes. HDU is a terrific base material for decorative items. To hang, all you have to do is drill a hole and use string or wire. Since HDU is so easy to work with, you could use the ornaments to make an ornament tree, or a totem, or a mobile. Endless ideas for the creative mind. All Made in the USA of domestic materials. This entry was posted in DIY and tagged christmas, DIY, Do it yourself, Holiday Decorations, ornaments on September 19, 2013 by AtlasSigns.